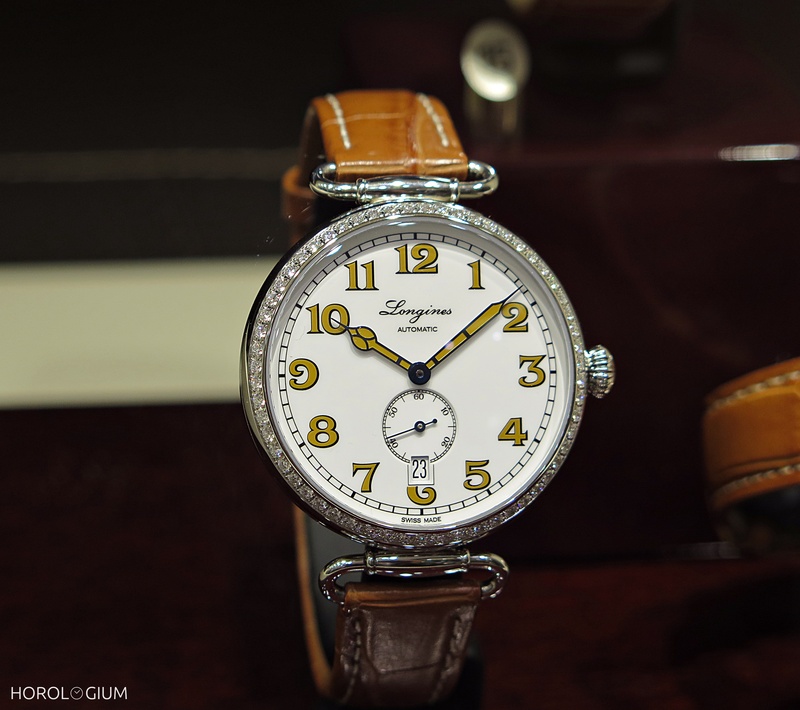 That I look forward to seeing what Longines releases in its Heritage collection each year is no big secret, and Baselworld 2016 brought with it two additions to this collection. 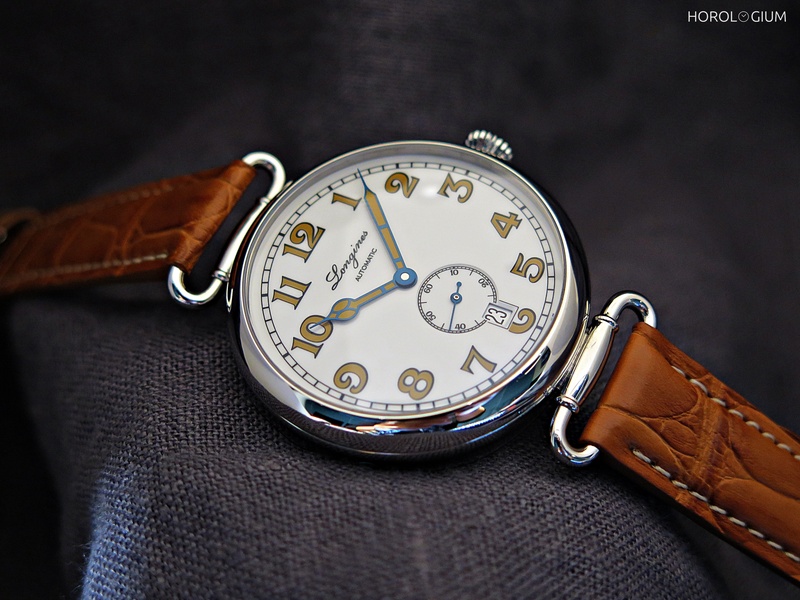 Today is about a watch with a familiar case shape bu in a different form, the Heritage 1918. As the name indicates, this is an update of a model from 1918. The case shape, lugs, white-lacquered dial, hands and numerals may reflect the original, especially with the honeyed tones of the ‘faux vintage’ colouring which is also tonally reflected in the alligator strap colour, but Longines have added their usual update of a date function (and on this note I might add that I had the opportunity to meet CEO Mr. Von Kanel and asked him why they keep on adding a date to Heritage Collection reissues – his answer was because people ask for it) as well as putting in an automatic movement (L615/ ETA 2895/2) and increasing the size to models that are 38.5mm and 41mm stainless steel. The choice of a strap colour to match the fill colour of the hands really does make a big difference. Had they chosen a dark brown or even a black strap the effect would not have been as warm as it is. I know that I sometimes might go on a bit about a strap, but I’ve found that a strap change can make a huge difference, and witnessed people who have been converted to a watch by a simple colour change. This strap works. At the outset I mentioned that there was a hint of familiarity with this new model. This is because it reminds me of a Red 12 model that Longines released a couple of years ago, inspired by a historical piece from a similar period. Not everyone is into Red 12s nor does everyone wish for a chronograph, so for those who are fans of that particular period’s style of case and ‘look’ but didn’t want the red 12, this new release may tick your vintage-modern boxes. The Australian RRPs are $2,200 and $2,300 respectively for the different sizes. For those who like diamonds on their watches, there is also a diamond bezel version of the 38.5mm size featuring sixty diamonds totalling 1 carat.